The highest objective of social workers is to protect and support people. How can we apply this general goal in cases of armed conflicts? 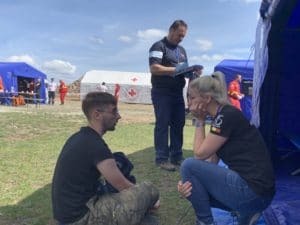 Social workers were invited through ASproAS (The Association of Social Workers in Romania) and CFCECAS (Center for Training and Assessment in Social Work in Romania) to be part in the Exercise Vigorous Warrior 19. 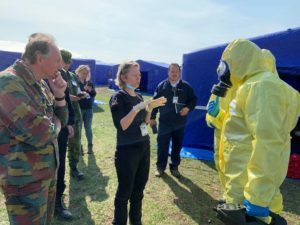 This was NATO’s largest-ever medical readiness event. 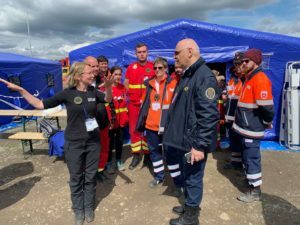 It took place in Romania between 8th-11thApril 2019. 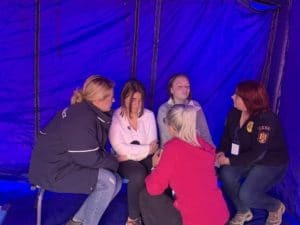 ASproAS and CFCECAS successfully created the script of a simulation with more than 40 scenarios, representing challenges for social workers that are providing support in such specific situation. We also introduced social support services in a camp for internally displeased persons. The preparation took 2 years and the simulation took one week. 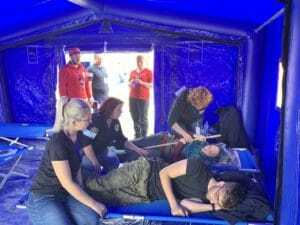 This simulation attempts to assess interventions offered by social workers to internally displaced persons and to identify gaps in services as well as to identify what needs to be strengthened. 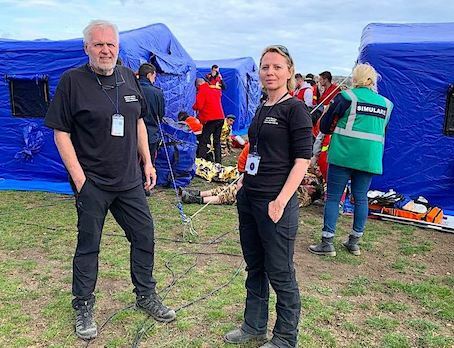 NATO Exercise Vigorous Warrior 19 shows social workers commitment to be prepared to deal with this crisis and show how social workers are reducing harm for civilians in armed conflicts and demonstrate the importance of our profession even in such extraordinary environment. Displaced persons face many challenges to their well-being and are denied basic human rights. To help to improve the life and conditions of internally displaced persons, the relevant policies and programs need to be developed und existing models should be evaluated and adapted. Therefore, I call for concerted interventions guidelines for social workers and training. It seems that the governments and various organizations provide basic support, but in many cases this does not occur. The support people need goes beyond food and clothing. We need to have social workers acting for protecting and promoting the rights and dignity of all people in accessing health and social services, treatment, care, family reunification and a lot more support services. Ensure that people are treated with dignity and respect in refugee camps, strengthen the support provided and involved people in all decision-making. Coordinate social worker action to provide better understanding and response to refugee needs during their journey, transfer and integration in the camp for internally displaced persons. Provide a focused strategy that supports vulnerable groups such as unaccompanied children and young people, older people, those with health issues and abused persons. We have to learn from the refugee crisis 2015. There were problems related to food, safety hygiene and more. 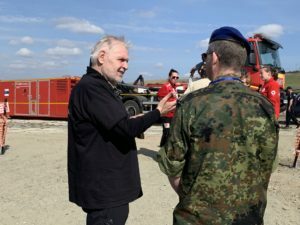 But the main reason to start the dangerous journey to Europe was the feeling, that their children (and they) have absolutely no future in the camps. Social workers have to focus on supporting the building a future. 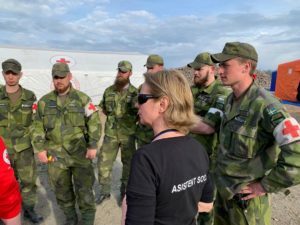 Social workers acted in partnership with all other agencies and professional groups to maximize results and we hope that this grass-roots/ground-up initiative will act as a catalyst for governments and NATO to work with us for the best support for internally displaced persons and refugee. The Romanian team: Ana Radulescu, Herbert Paulischin, Adriana Salcianu, Felicia Botos, Florica Hanga, Mihaela Voicu, Madalina Ciurbe, Fagaras Lidia, Annamaria Stuparu, Ionut Salcianu, Madalina Manea, Laura Ghemeci, Gabriela David, Monica Zdrite și Floris Gabriel Ungureanu.